from only € 28,00 / Month (up to 5 years) ! from 28 Euro / month (up to 5 years) ! I will be a PhD student at the Technische Universität Berlin this year. I turn 30 on October 22 and I was wondering whether the student health insurance for 28 euro a month would give me the necessary certificate to enroll? Thanks for your help. International Phd students and students over 30 years are not obliged to take the German public social state/compulsory health-insurance. Under the insurance tariff "Care College" there are 3 different sub-tariffs: Basic, Comfort or Premium. We recommend you to consider at least the health insurance tariff College Comfort. Price: only 35 Euro per month. If you have glasses or often have problems with your teeth, then we recommend as best option the Premium tariff, which offers also the most luxury and extras ( from only 63 Euro / month ). A master degree takes generally 2 or 3 years to complete. Master's students must complete preparatory coursework and undertake comprehensive examination and thesis project activities. Some masters programs require a written thesis, others offer an option between a thesis and comprehensive exam. An important way in which master's program differ from the most doctoral/phd programs is in the level of financial aid available to the students. Most programs do not offer as much aid to master's degree students as doctoral students and the students often pay most or all of their tuition fees. Students from postgraduate program or a second-degree program on German universities are very successful on the international job market especially in the technical and scientific areas. Master of Fine Arts M.F.A. A doctoral degree (in german: Doktorand) is a more advanced degree than the Master's degree. In Germany a student with Diplom from the University(Universität) can enter a doctoral program directly if the student meets the admission requirements. On the other hand a Fachhochschule(FH) student with Diplom must have excellent grades to enter directly a doctorate program. However the Ph.D. researcher program takes time. Depending on the program a candidate PhD student need up to 8 years to complete. Typically a Dr. PhD program entails 2-3 years of coursework and a dissertation, which is a research project designed to uncover new knowledge in the students field and be of publishable quality. Most doctoral and PhD programs offer various forms of financial aid like Erasmus scholarships, fellowship or loans for international students. The availability and forms of aid vary by discipline and institution. Ph.D. Students in some programs earn master's degrees "along the way." Best Value for the money. Got everything on time and did use the documents without problem to obtain a visa in the German embassy. We love you guys and are very appreciative of everything you do! Excellent experience. I have nothing but good things to say about this website and the online application service. Their pricing is fair and reasonable. 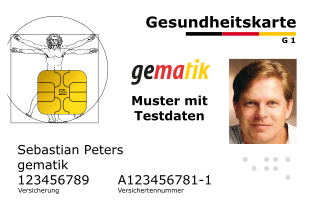 I am a long-term visitor in Germany and needed quickly a cheap insurance. Got my insurance docs within minutes. Best Value for the money. We have received the documents REALLY within minutes and were able to extend our visa. Great service. Can only recommend it. Will use it definitely also in future. Copyright © 2019. All Rights Reserved. Alle Angaben ohne Gewähr, Irrtum vorbehalten. Health Insurance in Germany for Foreign Students, Visitors, Expatriates and Freelancer. Medical and Dental Insurance in Germany and EU..